This is a sample of Cleaner interview questions to help you identify skilled candidates to meet your company cleaning needs. Make sure that you are interviewing the best Cleaner candidates. Sign up for Workable’s 15-day free trial to hire better, faster. Cleaners perform a variety of cleaning and maintenance duties to keep company facilities in an orderly condition. 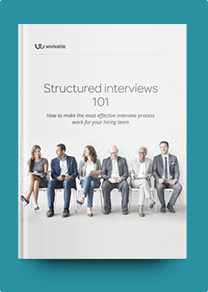 To successfully complete your hiring process for this position, you should identify experienced candidates who are organized and can perform quickly. This is a job that can be unpleasant or tiring at times, so you should focus on candidates with a ‘can do’ attitude who maintain a positive approach to their work. Besides testing your candidates’ knowledge of and experience with cleaning tasks, it’s equally important to discover their work ethic, as they usually work in areas where employees’ belongings and company assets are kept. Don’t forget to ask about your candidates’ availability, in case their work hours involve weekends and early morning or late night shifts. How do you clean computer screens? How much time do you need to clean a working space of 10 offices? Have you ever used green cleaning products? If yes, how would you rate them compared to products you’ve traditionally used? How do you deal with emergencies? Can you mention a few examples from your past experience? How flexible are your working hours? Would you be available for early morning or late night shifts? How do you treat different materials like wood, marble or granite? Are you familiar with cleaning machinery? What devices have you previously used? If you found a personal item and you didn’t know who it belonged to, what would you do? What do you do when you have to move heavy furniture to vacuum? Are you familiar with health and safety precautions? What’s the most frustrating task you have faced in your previous positions? Describe a situation where you went the extra mile and performed a task out of the ordinary. Have you ever seen a co-worker stealing? What did you do?